(C. pepo) (aka Variegated Scallop, Yellow and Green) Described in Vilmorin's Description de Plantes Potageres (1856). Sent to SSE by French member Bruno Defay. 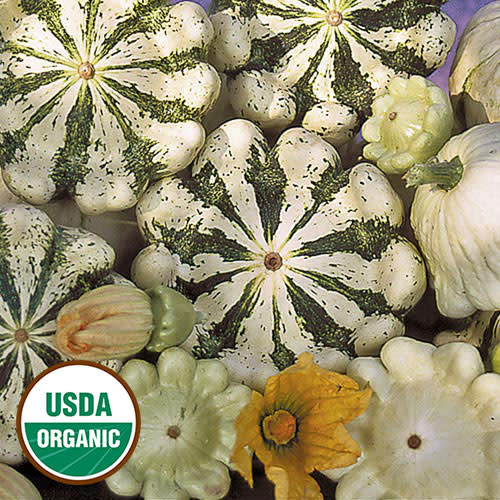 Creamy white scallop squash with green stripes, borne on bush plants with high yields. Good eating qualities when young, rock-hard ornamental when fully mature. 55-70 days.